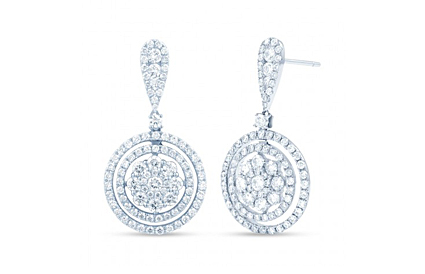 Earrings are the perfect way to accentuate and finish any outfit, as well as express your individual style. From timeless diamond earrings to lustrous pearls or dramatic amethyst, we have earrings for all occasions here at Diamond Boutique. You can choose the regal elegance of blue sapphire earrings, the Hollywood glamour of emerald earrings, or are the vibrant citrus colours of Peridot earrings more to your taste? Shop our extensive earrings’ collections using the links below and discover a stunning range that will capture your heart or the heart of the recipient if you’re looking for the perfect gift.